“We are in the most fundamental way, Stone Age people ourselves. From a dietary point of view, the Neolithic period is still with us. We may sprinkle our dishes with bay leaves and chopped fennel, but underneath it is all Stone Age food. 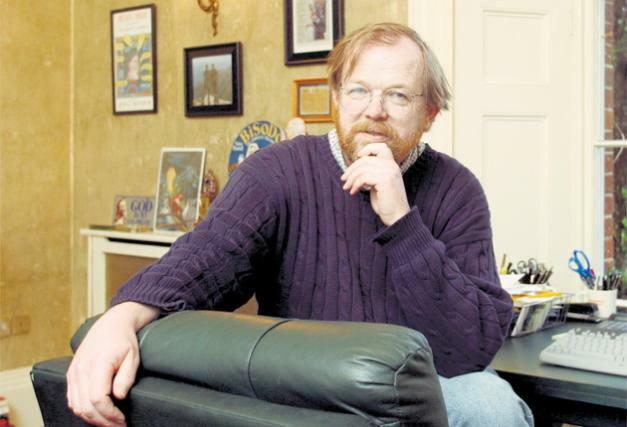 And when we get sick it is Stone Age diseases we suffer” – Bill Bryson, At Home, pp. 46-7. Are we really just late Stone Age people? Bill Bryson’s brilliant book At Home, tracing the history of the house and its various rooms, starts with a chapter on how and when people actually started to have homes for the first time – when the first cities arose back around 10,000 BC. He notes that it’s odd that people formed cities and switched to agriculture. 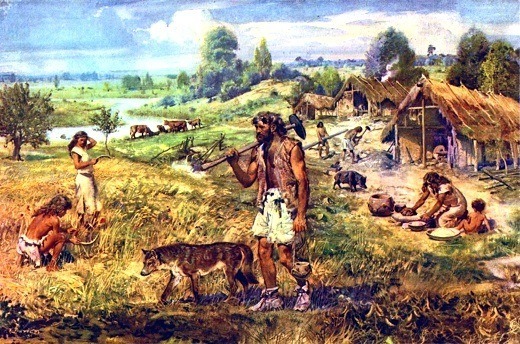 Hunter-gatherers had a better diet, were healthier, and the move to agriculture was in some ways a step down. Of course, larger populations could grow and the human need for community was far better achieved when we weren’t simply searching for game in small groups. He also notes that this happened all around the globe at about the same time – give or take a few thousand years. That may seem like a wide discrepancy to us, but given that humans have been around for almost 200,000 years, it’s pretty amazing that suddenly we developed agriculture. Some foodstuffs like corn (maize) are completely human made, reflecting a remarkable capacity to manufacture new plant species. In a real sense, that was the start of our “age” of humanity. Sure, there are sub-strata – the iron age, the bronze age, etc. Perhaps from a wider perspective humanity entered the “mechanical age” or the “age of agriculture” about 12,000 years ago, and that age is ending. 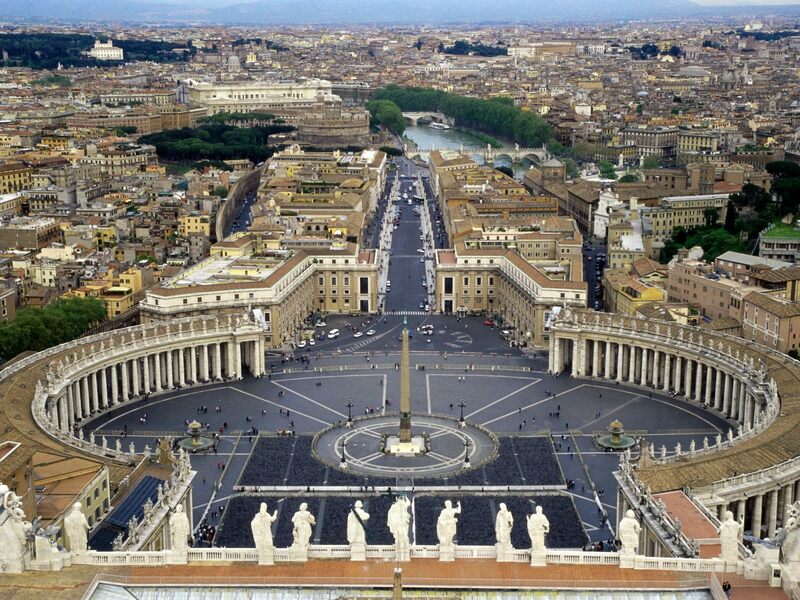 Civilizations rose and fell in the last 12,000 years, but something happened in Europe to create a whole new reality. The Europeans moved from a traditional view of the world — one with practical knowledge built on core religious beliefs and long held traditions — to a radically new understanding of reality. With the enlightenment individualism reached a new level. Up until then individuals existed, but identity and core perspectives remained communal, even in Europe. The idea of “individual rights” would have been virtually meaningless in most of human history, individual rights were always part and parcel of community rights and values. Distrust of tradition and an embrace of reason freed the human mind to go places that were either off limits or at least unimagined before. The printing press created the capacity to spread ideas and knowledge, making rapid growth in understanding and science possible. Gunpowder took war and politics to another level, making possible the sovereign state and the conquest of the globe by European imperialists. 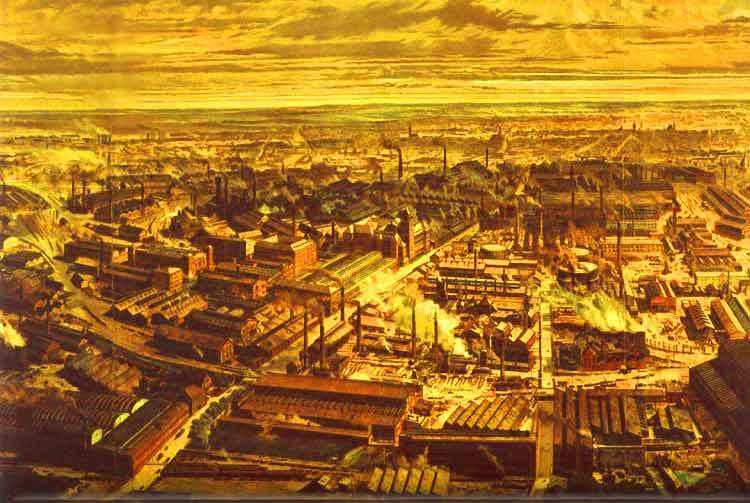 Through the industrial revolution, the rise of capitalism – an entirely new mode of production that greatly expanded the capacity of humans to create material wealth – humans came to see the planet as an object to be conquered, exploited and used for whatever humans wanted. The environment was no longer sacred, but there to used as we see fit. All of this led to the ultimate breakthrough – modernism. 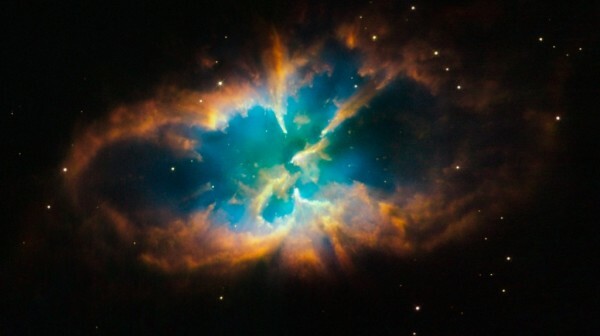 If I could label the new era, it would be the quantum era, one where science, knowledge and technology create a dramatic breakthrough in human capacity comparable to the rapid and still inexplicable (at least with any certainty) rise of agriculture and cities 12,000 years ago. If we are still at base Stone Age humans eating Stone Age food and getting Stone Age diseases, we may be at the beginning of not just a new era, but a new age of human development which could last 10,000 or so as well. Looked at in that light, this is an extremely exciting era to be part of! 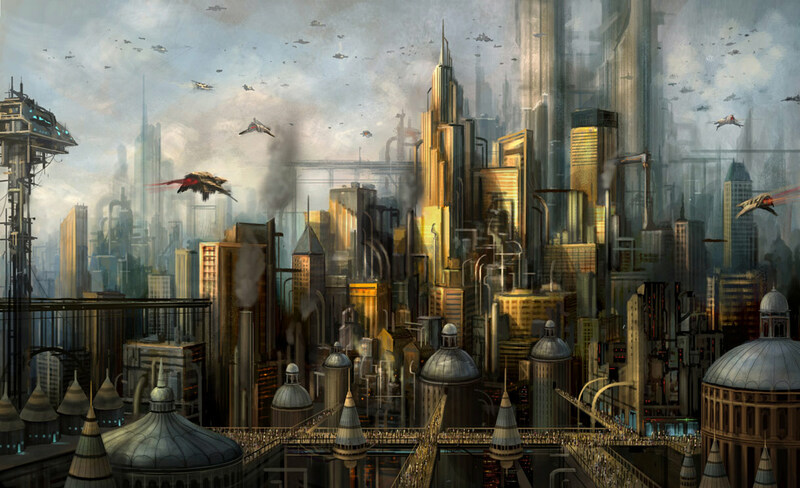 Will our future be megapolis life, artificially produced and engineered? The new era will see new foods, new diseases, new cures, and probably a completely new way of life. If we could glimpse 5000 years into the future, we might be appalled at how different it would be. The core family structure might give way to something new, the new individualism may mean human culture will be completely remade. One thing is likely: the new era will have its peaks and valleys, major disasters and eras of plenty and prosperity — even if those terms take on completely different meanings. The glimpses we see are both compelling and frightening: genetic engineering, lack of privacy, borders ineffective, humanity more divorced from nature and community than ever before. Or will we reject that path and try to develop a future more in tune with nature and each other, choosing that over the materialist individualism of the post-enlightenment era? Fat, connected and having all our needs taken care of by machines – is that the future? Where this new era is leading is yet unknown. 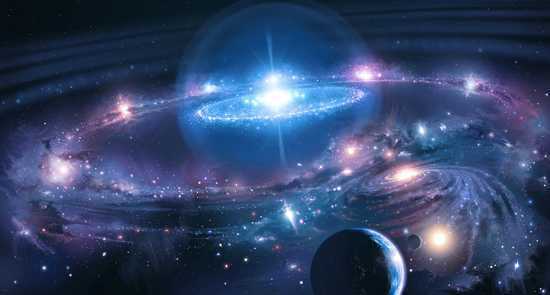 Our modern physics, genetic discoveries, and ability to manipulate both the planet and life itself is new territory. This brave new world will yield a new kind of human. We’re straddling eras as we dash madly into a future that is almost uncertain to be unlike anything we have yet to imagine. 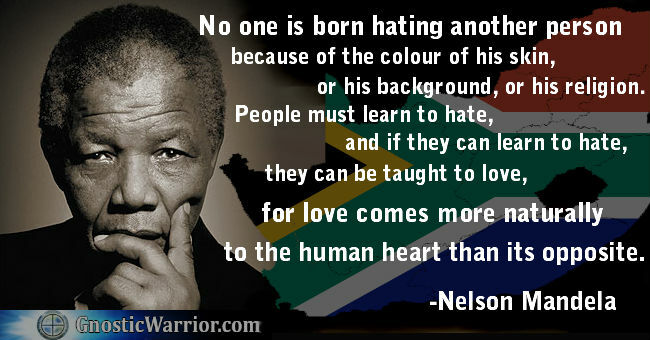 Nelson Mandela (1918-2013) emerged as one of the true heroes of the late 20th Century. He’s inspired young people, helped his country avoid a blood bath which many thought was inevitable, and demonstrated the power of forgiveness and truth over vengeance and anger. The path Mandela took to this position was interesting. He started out inspired by Gandhi, who had initially been active in South Africa, committed to non-violent resistance. His activism against the South African apartheid regime began in earnest after apartheid was put in place as an official policy in 1948 by the openly racist National Party. 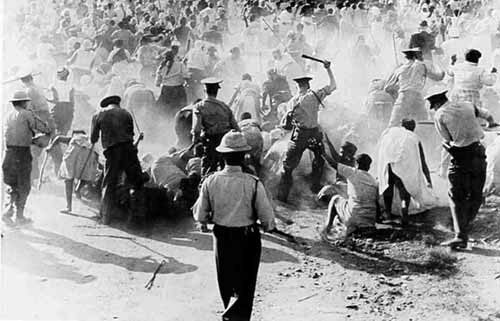 But Mandela’s commitment to non-violence changed on March 21, 1960, the day of the Sharpeville massacre. 69 protesters were killed by police, and it became clear that the government would use all means to support apartheid. 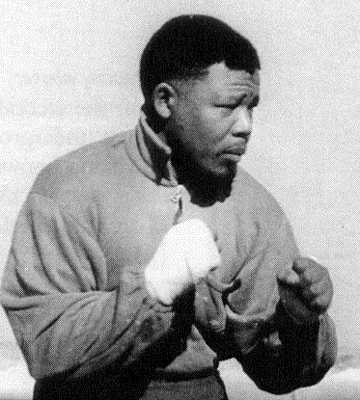 Mandela then gave up non-violence and helped form the violent “Spear of the Nation” or MK. Drawing inspiration from Castro, Che Guevara, and Nasser, Mandela took a more radical stance. He never openly advocated communism, but there were clearly connections between the MK and communist radicals. Moreover, he went to Ethiopia to study guerrilla warfare, as the ANC saw the only option against the National Party to be violence. On August 5, 1962 he was arrested and sentenced to life imprisonment. Even in prison he refused to renounce violence; he said the ANC should renounce violence only when the government would renounce violence against the ANC. 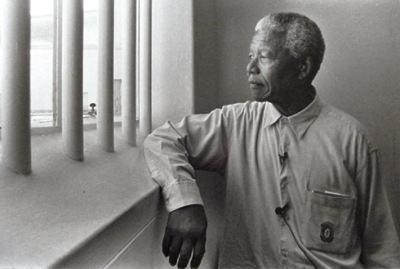 He would remain in prison until 1990, becoming a symbol of the anti-apartheid movement. Yet Cold War politics muddied the waters. While most people were sympathetic to the ANC’s willingness to use violence against the racist South African regime, it also provided cover for those willing to forgive racist oppression due to the National Party’s embrace of anti-Communism. With the Cold War intense, the US wanted a strong ally in Africa, and South Africa was a perfect choice. They had gold, minerals, wealth and a strategic location. When people complained about the racism of apartheid, the US and UK could either say they refuse to infringe on South African sovereignty, or argue that they also opposed apartheid, but Mandela and the ANC were not the answer. Moving from apartheid to communism would be to go from one form of oppression to another. With such rationalizations, support for the apartheid regime remained consistent until near the end. 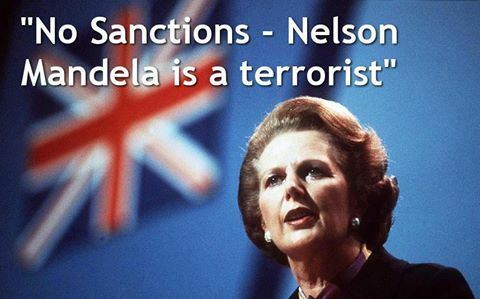 Up until his release, Mandela was considered a pro-Communist terrorist to many in the West. For many on the right, it was far better to support institutionalized racism that dehumanized millions than risk the possibility that a majority black government in South Africa might be friendly to communism. Indeed, the coziness the West showed to the racist government did nothing but push the ANC towards anti-American regimes. In the eighties the tide started to turn. While the Reagan Administration gamely tried to pretend that it was not supportive of apartheid, embracing the “Sullivan Principles” regarding rules for investment in South Africa (principles designed to benefit blacks and put conditions on investment), the apartheid regime was becoming untenable. Congress overrode Reagan vetos of sanctions against South Africa. Not only was global pressure mounting, making South Africa a pariah state, but young people in South Africa were increasingly opposed to the racist philosophy that defined apartheid and the National Party. Ironically both Communism and apartheid were undone by the same force – globalization. The inability of South Africa to compete in a globalized world economy along with the isolation of dysfunctional communist economies led both systems to collapse almost simultaneously. That also meant that the apartheid regime had lost its last defense – if there was no Cold War, there was absolutely no reason for the West to support the National Party in South Africa. Still, the conventional wisdom in the West was that the 1990s would see a South African bloodbath. The Nationalists would hold on to power, the ANC would grow violent and aggressive, as the blacks would rise up in a mass revolt. In this context the last Nationalist President, F.W. DeKlerk, who took power in September 1989, advocated to end apartheid and official racism. 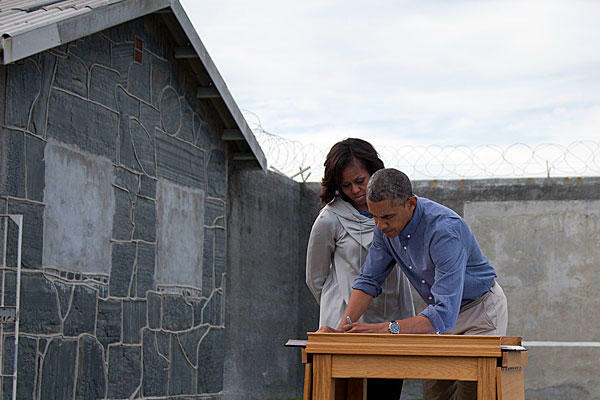 To symbolize the significance of this move, he ordered the release of Nelson Mandela. 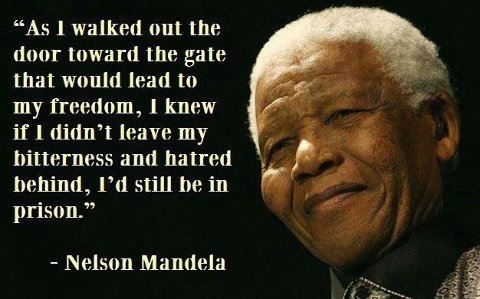 Nelson Mandela had been in prison for nearly 28 years. He could have been bitter, angry and seeking revenge. Many of the whites in South Africa opposed the ending of apartheid, it could have all gone badly. However, Mandela embraced reconciliation — truth commissions instead of revenge seeking. An embrace of a South Africa where the majority would now rule, but without reverse racism or a desire to avenge the past. The result has not been a perfect shift towards a new society. South Africa managed to make the transition smoothly, but still faces a myriad of problems. Mandela helped avoid a blood bath and put South Africa on the right path; that was all he could do – the future will have to be made by South Africans together. Yet it’s sad to see that the far right still harbors hatred for Mandela due to abstract accusations. When Texas Senator Ted Cruz posted something kind about Mandela on his website, he was inundated with negative comments. True, Cruz’s constituents are farther right than most, but that kind if vitriol in ignorance of what Mandela accomplished is simply sad. Mandela danced with radicals and extremists because he was fighting a cause and they were willing to be his allies. Though he fought evil with violence — he was not a Gandhi nor a Martin Luther King Jr. — the American revolution was also violent. British rule was arguably much less evil than the apartheid regime. What matters is that when Mandela’s side won, he did it with grace, forgiveness and a sense of dignity that most of his opponents lacked. Mandela is remembered as one of the historical giants – a hero, an inspiration and a great man. The haters will never take that away from him. He was radical when it was necessary, but moderated when the evil he was fighting ceased to be. That is part of his greatness. Marxism is a particular theory about how history unfolds, an enlightenment style reason-based theory which seeks to objectively show that there is a correct interpretation of history based on the nature of the mode of production – or how value is produced. Any economic system (slavery, feudalism, capitalism) that generates value through exploitation (a small group benefiting from the work of others) inherently contains contradictions. Those contradictions inevitably cause the system to collapse, until finally a system with no exploitation (communism – the anti-statist utopian Marxian version) comes without internal contradictions. History is a human construct, Marxism has no place for a deity. I very much doubt that the Pontiff believes any of that to be true. Pope Francis I instead provides a conservative critique of capitalism, one that echoes some of the anti-Communist John Paul II’s ideas. 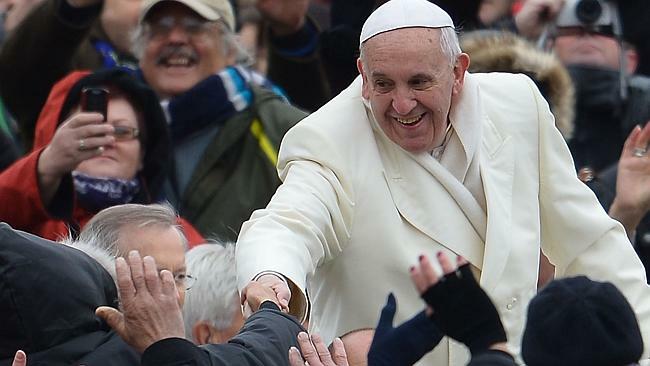 The Pontiff released a 50,000 treatise, Evangelii Gaudium” (The Joy of the Gospel), which calls for a series of reforms and admonishes “unfettered” capitalism. He criticizes trickle down economics, and decries “the idolatry of money” which will lead to a “new tyranny.” He bemoans the “culture of prosperity” where materialism defines human value, but leaves the majority on the outside, often suffering. Even those well off feel like their life is lacking because the culture defines so much by material success. People turn artificial wants into perceived needs. The Pope was not attacking market economics but naive capitalism – those who believe that markets always turn self-interest into the best result possible. Naive capitalists believe that the “winners” deserve to take as much as they can get away with because they are smarter or work harder. Moreover, they believe that the game is always open for others to win – that the playing field is level and the market will somehow prevent winners from building structural advantage and using their position in society to benefit themselves and guarantee that they and their children will have a much better shot at continuing to “win.” Naive capitalists believe the “losers” are inferior – they deserve to be poor. The conservative critique of capitalism is not that somehow everyone should be equal. Traditional conservatism accepts the idea that inequality is inevitable in society, but that it cannot be so pervasive as to be culturally destabilizing. They distrust capitalism because it debases the culture. It appeals to the masses, and replaces community with consumption. It rationalizes wealth inequality without creating a sense of social responsibility. Conservatives also distrust human nature; they believe that utopian visions of capitalism underestimate human greed, ruthlessness and willingness to cheat/abuse others out of self interest. Traditional conservatism has an organic view of society – that the culture is an entity that is greater than the sum of the individuals. It distrusts the radical individualism of naive capitalism, noting that the individual is embedded in a culture and society from which identity, interests, morals and desires all spring. The culture maintains social stability and order. Reason alone cannot replace it, since reason is a tool that can rationalize just about anything. Reason can justify a whole host of contradictory principles and ideals — whatever the individual wants to believe. That was Edmund Burke’s critique of the French revolution; you take away the cultural glue that holds society together and everything falls apart. For conservative critics of capitalism, the market doesn’t magically follow the values society holds, nor do peoples’ decisions on what to buy and sell necessarily support their core values. That’s why people have constructed governments to, among other things, tame the excesses of capitalism. 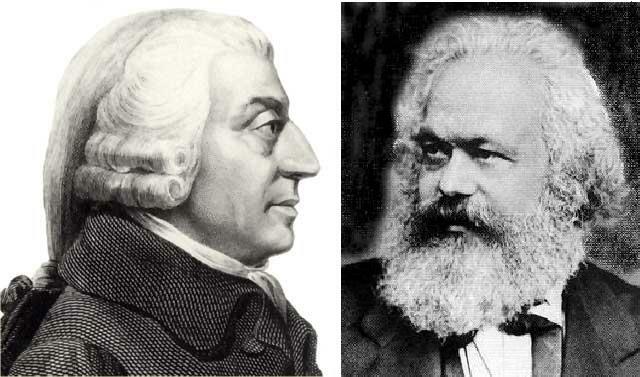 Count Karl Marx as one of Adam Smith’s fans! Even the capitalist hero, Adam Smith, knew markets were not magic. While naive capitalists use his metaphor of the “hidden hand,” it’s a metaphor he only used once, and in a limited context. If you actually read Smith’s Wealth of Nations it’s clear that he is critical of the capitalists of his era. Karl Marx even considered Smith his favorite economist, saying that only in communism would Smith’s ideas work properly. 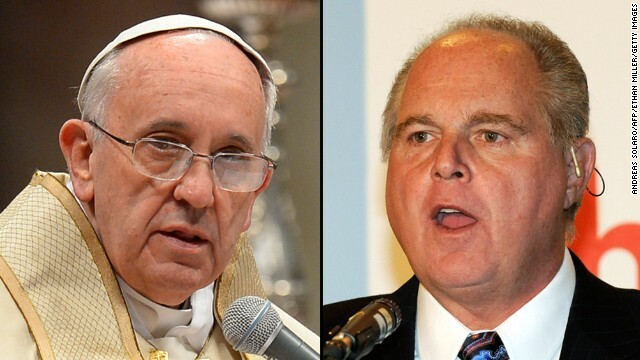 Those nuances don’t fit into the good vs. evil simplistic dichotomy of the Limbaughesque world. Agree or disagree, the Pope is decrying the materialism, self-centered individualism, and lack of concern for the community that raw capitalism often fosters. That is a value-based critique, not at all Marxist. The Limbaughs of the world want to put their hands over their ears and mutter “Marxist, Marxist, Marxist…” because they don’t want to delve into the details of how the world really works — So much easier to have a “left vs. right” caricature than to actually consider the gritty complexity of reality.